Live entertainment from soft jazz to light blues and baby grand piano are offered on weekend evenings featuring local musicians. Offerings vary from week to week. Itta Bena Montgomery is located within the new Wind Creek Casino and Hotel Montgomery. Enter through either the hotel pool bar area or through the BB King's Blues Club and its exclusive Red Velvet Elevator to reach the elegant Blues themed Speakeasy style steakhouse featuring the finest in New Southern Cuisine and the best hand selected Grilled Steaks, Seafood and fine Wines and Spirits. Relax and enjoy the views of the beautiful Pool and Spa while listening to soft live music and the finest blues. Nice dinner with family. Great service. The best food and service in Montgomery! I definitely recommend eating here. This was my 2nd visit and it was very enjoyable and romantic. I love this place. An extremely wonderful dining experience. The cuisine was absolutely out of this world! Highly recommend the crab cakes and their Signature She-Crab Soup! The service was good; our waitress seemed "new" and appeared somewhat unsure - maybe she "tried too hard," if that makes sense. We had seafood; was disappointed that the night we went they were out of the Grilled Gulf Snapper, so we "settled" for Pesto Salmon and their night's special Grilled Alaskan Halibut, with a side order of Seared Scallops. Both entrees were excellent; wonderful flavors that were superbly blended for one-of-a-kind taste sensations. Highly recommend; will be going back! Perfect escape from the daily grind. Itta Bena is a beautiful, relaxing oasis. We we're not rushed, hurried, or neglected. Service was excellent. Food was even better. Not one single thing disappointed us. Perfect experience. The food was delicious, and the service was outstanding! Thanks for 5 Stars! ⭐⭐⭐⭐⭐Please come again! 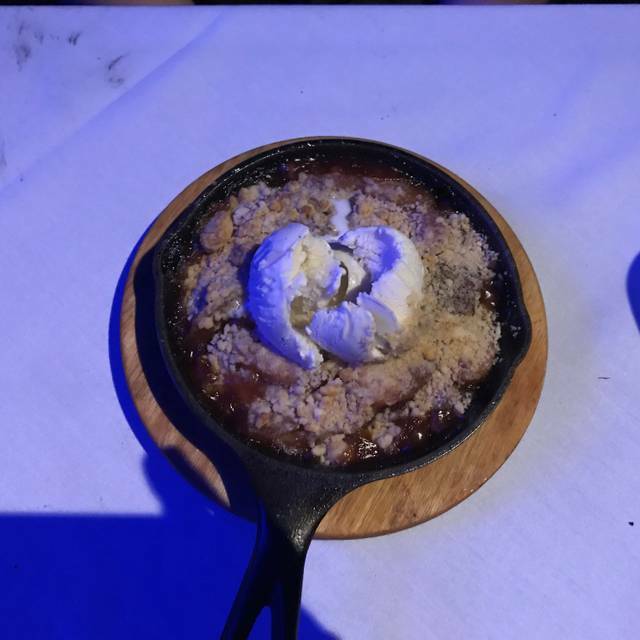 Our date night experience was amazing! Very upscale and classy atmosphere! Beginning to end it was a wonderful night. The ambiance was perfect and the wait staff was on point! Our entrees were aesthetically pleasing as well as delectable! If you are looking for a fantastic restaurant- you have just found it! OMG! Thanks for 4 Stars! We'd love to have you back anytime! The staff were awesome and had really good attitudes and fun personalities. The food was amazing. Overall very good experience! Thanks for the kind words, Joshua! Great food, great layout. The customer service is beyond extraordinary! Loved the entire experience from the moment we walked in the door! Great service, delicious food. We had a lovely dinner. OMG! Thanks for 5 Stars! Marvelous experience. Excellent pianist set the atmosphere. Staff was very courteous. The food was excellent especially the creamy collard greens. Fried green tomatoes were served with a most complementary sauce along with a variety of breads and spreads. The steak was cooked to order and the crab cakes were firm yet delicately delicious. Our server was very knowledgeable of the menu and her suggestions were spot on. Great night and is sure to be repeated. Thanks for the kind words, HoraceW! Please come again anytime! Surprising to say the least. Food & ambience were over the top. Steaks were cooked to perfection. Would like to have had a little more attention from our waitress, but overall a wonderful experience. Itta Bena is quiet and the atmosphere is wonderful. One suggestion: If we reserve on line, there should be a place to confirm with a credit card if that is you rule. Calling from a number that is not familiar will cause me not to answer. A special thanks to the waitress, somebody was responsible for our getting a nice basket of bread. I certainly appreciated that. Thanks for the review, MaryH. The service was very slow considering it was not crowded at all. Only about six tables being used. 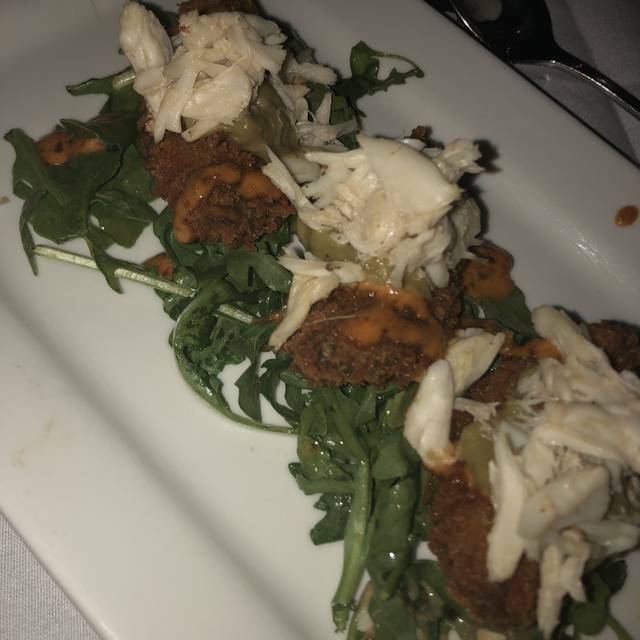 Some food was very good, however, the crabcakes tasted like the crab was old. Nearly to the point of spoiled. Also the cheesecake tasted as if it had been in the freezer for a very long time. The chicken, vegetables, and drinks were very good. The server was very nice; however, we waited nearly an hour to receive our meal. For a bill of over $100.00 I expected more. Love the atmosphere and the privacy of the booths. Food was fantastic and service was exceptional. Will be back for sure. I chose to eat here for my birthday. 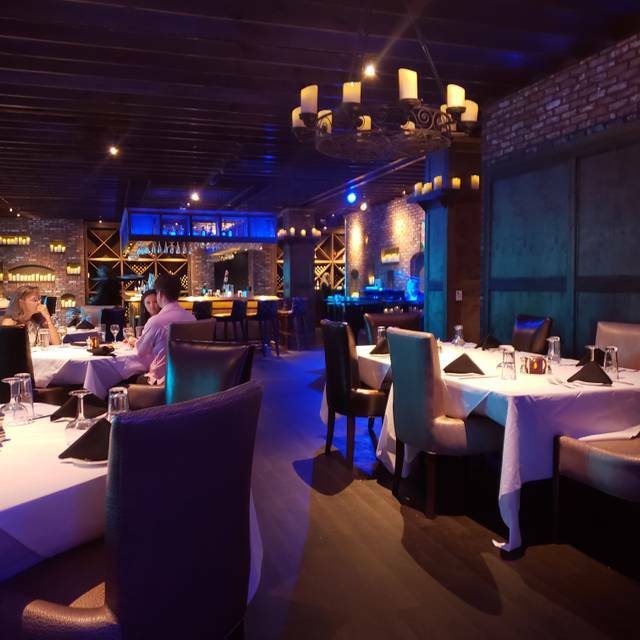 The food was delicious, the drinks were well mixed, and the staff made it pleasurable. Great food and ambiance. 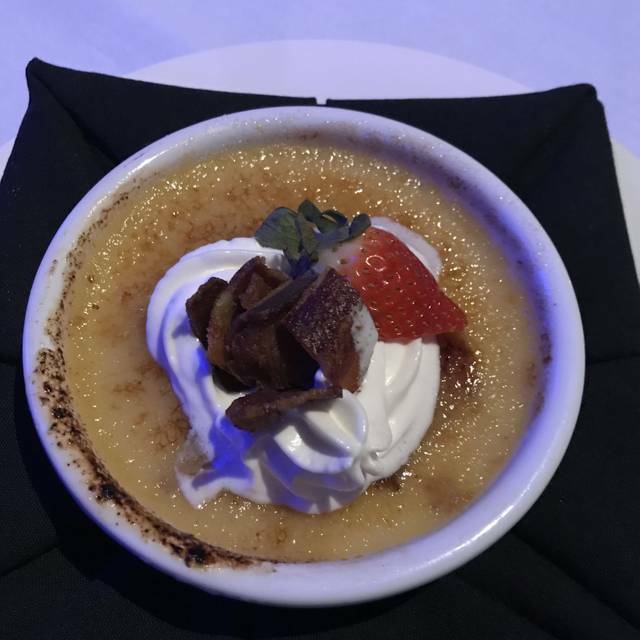 This is one of the best kept secrets in Montgomery for premium dining. My husband and I visited the restaurant for a quiet, quality meal. Not what I expected but pleasantly surprised. 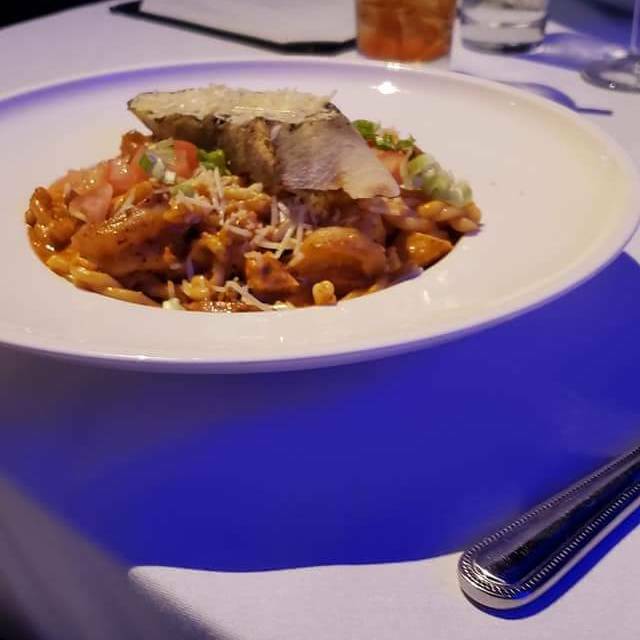 Except for having to go through the Jazz Club and casino to get there the food and atmosphere were excellent. Service was a little slow but didn't feel it was the servers fault. Will definitely go again to add variety to town's limited options. Our food was great...fillet was very tasty...not quite cooked to a perfect medium, but not over cooked. My wife’s crab cakes were very good as well. Service was very nice and personable albeit a little slow. Nice setting with private booths. Maybe a little over-priced, but not bad for an occasional date night. The carrot cake waffles for dessert were amazing. Overall, a very nice place to eat with the added bonus of live music downstairs. We caught a couple of songs on our way out. Thanks for the kind words! We're glad you and your wife enjoyed the visit. Please come again soon. Excellent return engagement for us at Itta Bena. 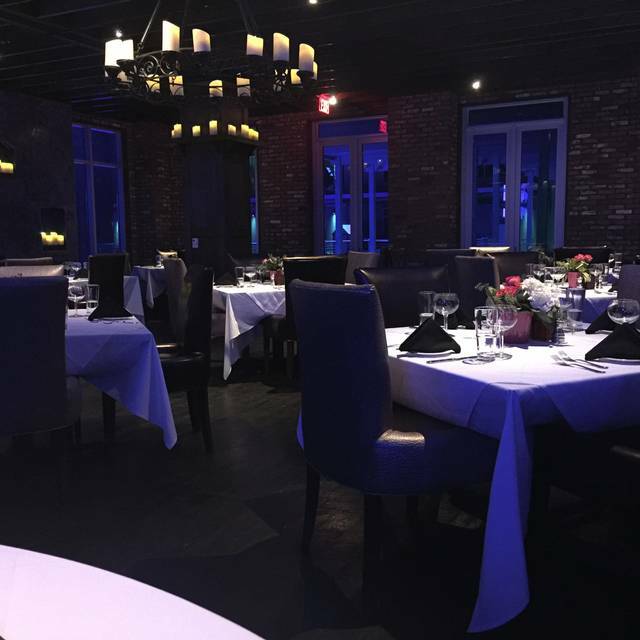 As before, the restaurant was cozy and intimate, perfect for a special night out. My wife and I came to celebrate my birthday, and the staff and chefs knocked it out of the park. 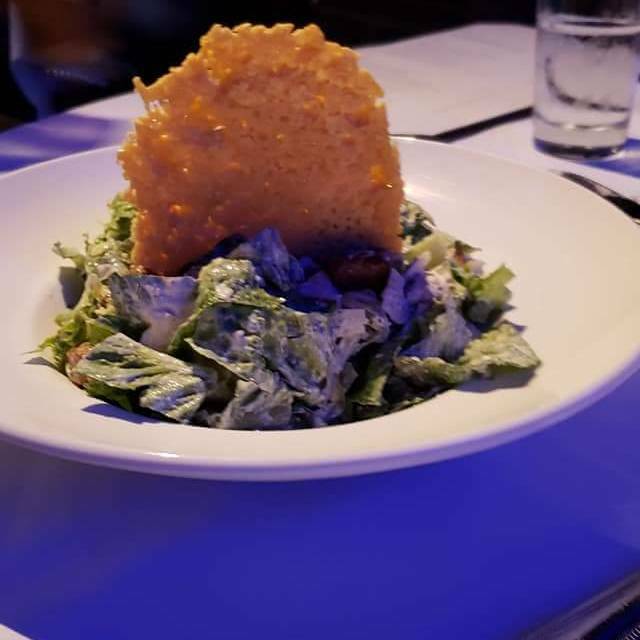 We had many items, sharing a delicious fried tomato appetizer, to soups - the she crab soup being especially notable and rich, to salads, ceasar and feta cheese with candied walnuts. My entree', a strip steak, was excellent, grilled to taste and served with a dollop of butter. I can't believe we had room, but we ordered dessert, but we did, and were pleased with the carrot cake waffle and the stout cake. We will certainly return again to enjoy this jewel in the Wind Creek Casino of Montgomery. We have eaten there a few times but this was the best . Food and service very good and the pianist very entertaining. Would recommend to anyone. Thanks for the kind words! We'd love to have you back! Excellent service, great food and music, will definitely be back! Thanks for the kind words, Craig! We'd love to have you back! My wife and I was celebrating our 19th Wedding Anniversary and she loved how our waitress showed her special attention! Thank you! Went for NYE with a group of 8 and at the end of the night had a great experience. Our original server was having a bad night to start and ended up quitting during her shift, or at least that’s my understanding. Anyway the GM Byran Wooden stepped in and Jarvis started handling our table. Couldn’t have been a better night from that point on and the food was outstanding. This is a true gem in Montgomery and I wish I had discovered sooner. Our experience was a textbook case though of understanding. We understood the restaurant was facing a very unforeseen and unfortunate situation with a server quitting mid shift and we let them correct the situation. When the leadership is addressing and working to fix issues that’s usually a good sign of good things to come. Happy New Year to all the crew out at Itta Benna! We’ll see you again in 2019. Thanks for the awesome review and thanks for being understanding, WillM. We really appreciate it and we look forward to seeing you this year! Thanks again for the kind words! Great ambiance! We celebrated a birthday and the staff made it extra special. Food was amazing and restaurant was very intimate. Outstanding as usual. Creative, delicious and the ambiance was perfect! Excellent service and relaxing romantic experience. The food and service made our night special. They made our night special. Amazing atmosphere, great food and service. We had the maple bourbon chicken, jambalaya pasta, and BLT salad. Our server SHEILA was professional and knowledgeable. Her helpful and pleasant manner definitely added to our enjoyment of the evening.